"We have been working with Ashley House for a while now and no matter what we throw at them, the result is nothing short of remarkable. From the inception and design to the finished product. The ‘design’ usually consists of me scratching down a very rough idea on a piece of paper, handing it over and waiting for the AH team to work their magic. What comes back has always been simply brilliant. My clients regularly comment on the quality of both the design and the print. And to know that it’s all created using the most ethical approach possible is even better still. Put simply, why would you go anywhere else? You’d be wasting your time. 10/10." "A trusted extension of our team "
"A printer you can rely on"
"A real passion for each job"
"We can’t recommend Ashley House too highly - they have been our printers of choice for many years now. We love the fact that they take a huge pride in the quality of their print, going out of their way to make sure that something is just the way you imagined it. And the level of customer care is exceptional, too. Nothing is ever too much trouble." "We receive great service from the team at Ashley House. They offer advice and guidance on any project; they're professional, friendly and always competitively priced. We're looking forward to working with them on future projects." "We have worked with Ashley House for many years, we always return to this printing house as their attention to detail is second to none, their ability to turn around projects for us always exceeds expectations. A really friendly and easy to talk to team, makes it feel as if they are just a right hand to our own business. If our requests are out of their scope, Ashley House will do their best to source help from other companies, to ensure they deliver to our requests time after time. Can't recommend highly enough." 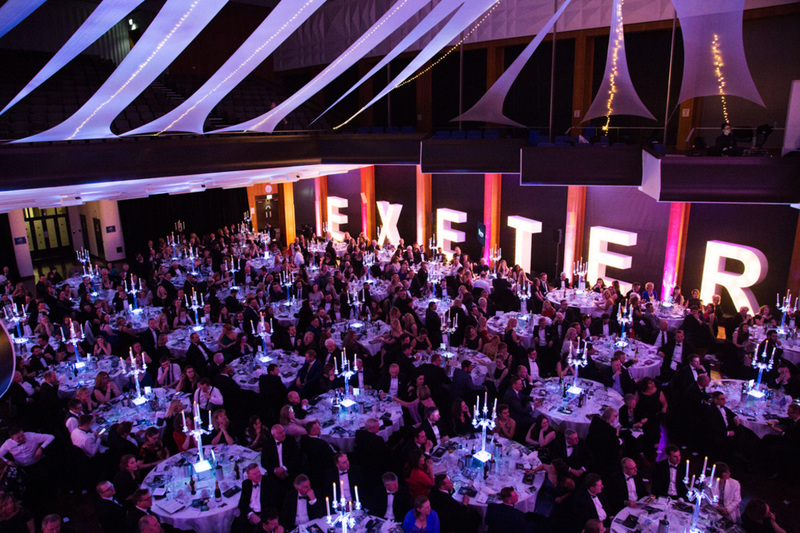 Exeter Living Awards is one of the biggest dates the city has in the events calendar and is a huge celebration of businesses in and around Exeter. At Ashley House, we understand the importance of a great publication and supporting local business - the awards bring this together perfectly. At Ashley House, we create bespoke print in all shapes and sizes, using only top quality papers, inks and finishes to ensure that every print project we handle is beautifully crafted. If you're looking for more than just ink on paper, you know where to find us! For eggcellent print, give us a call on 01392 202320 or email hello@ashleyhouse.co.uk. Did you know that 65% of people are easily distracted when reading on a phone or tablet? Compared with only 21% when reading print! 📚 We've always been big believers that print is all about the experience, it gives people the opportunity to relax and switch off from the digital world 📱. We had a brilliant evening at Exeter Living Awards last month, celebrating the best of Exeter. Here's Rob with the very well deserved Arts Category award winner, Thelma Hulbert Gallery. Find out more about their win at https://bit.ly/2V2gPM3. 📸 by Full Fat Photography. At Ashley House, we understand that achieving perfect print requires knowledge and experience. With over 30 years of printing behind us and everything you need under one roof, we ensure that every project we deliver is crafted with passion, experience and attention to detail. For claw-some print, give us a call on 01392 202320 or email hello@ashleyhouse.co.uk 🦀. We're hiring! We are currently looking for an experienced Large Format Printer/Installer to join the growing team at Ashley House Printing Company. The successful applicant must have a passion for print/display and have previous experience in large format printing, installation and application. The candidate must be able to work to the highest standards and as part of a team. Salary according to experience. Interested? Apply by email or post, enclosing a CV, to rob@ashleyhouse.co.uk.